"I'm so hoppy for you!" The 'rabbit' in the scan. Suggestions include "the devil", a mermaid, a "demon mermaid", and the Hindu elephant god, Ganesha. Another scan posted to Imgur shows what appears to be Star Wars' Emperor Palpatine. Leanne Sullivan from Liverpool was surprised to see what appeared to be a brontosaurus in the image of her daughter. "I wouldn't say I'm a big dinosaur fan but I did go and watch the new Jurassic Park film the other week after this happened," the 29-year-old said. Now a new scan photo shows an unborn bub clearly giving her parents the peace sign. Blogger Ana Craft shared the stunning image of her daughter, already named Karis Olivia, on her Instagram account on January 13. "Had our 20 week ultrasound yesterday. Karis decided to show us a little humor by tossing up a peace sign during the ultrasound #yesthisismychild #peacesign #karisolivia #hippiegirl #ultrasoundpic #bestpicever #babygirl #firstpic," she wrote. Speaking to WomansDay.com, Craft said that the image was quite a talking point at the ultrasound clinic, adding, "It was all smiles around the room as the ultrasound technician called in all the nurses and staff to view the photo." And she wonders if it's a sign of what's to come. "As a parent, you pray for a healthy baby. With Karis Olivia, we may also be getting quite the personality." 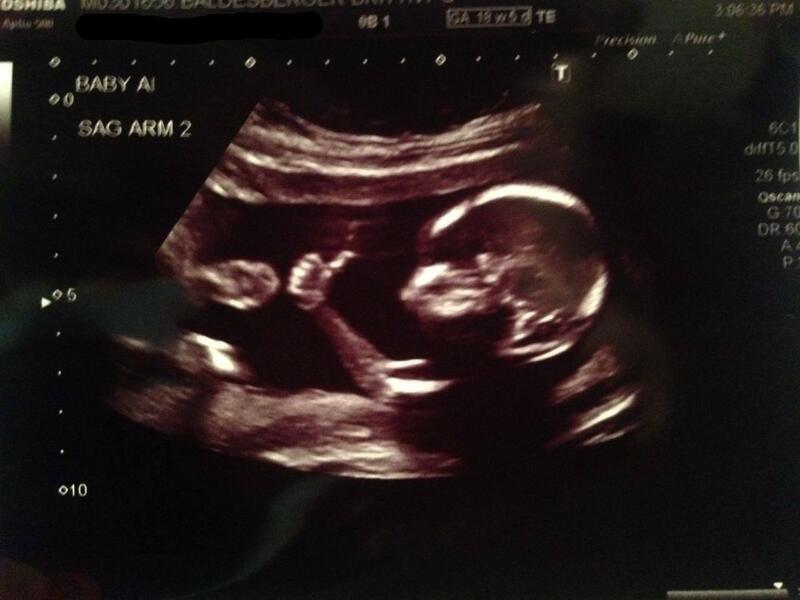 Click through the gallery above for more hilarious ultrasound scans.